We've got a huge range of classes to suit all ages and abilities. 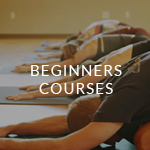 At Breeze Yoga, we offer a wide range of Yoga, Pilates and Meditation classes, which are taught by specialist, expert teachers who have trained extensively in their individual disciplines and have a desire to share their knowledge and experience with others to promote health, vitality and wellbeing. We offer classes that are suitable for all levels. If you are new to Breeze, our team can recommend specific classes for you, depending on your individual needs, and what you would like to achieve from your practice. Many students come to Breeze to practice Hot Yoga. These classes are carried out in a specially designed studio, heated to up to 42 degrees. The benefit of the heat is that it encourages flexibility, allowing you to get deeper into the postures, making them even more effective, encouraging detoxification and promoting weight loss. Whatever your needs, our yoga classes will help you achieve your personal goals, whilst providing you with maximum enjoyment on your journey. To find out more about the benefits of yoga and to take advantage of our special £40 for 20 Days, call us on 020 8658 1990 now to speak with a member of our team. Hot Forrest Yoga is practised at a slightly lower temperature in the hot room.